We love making art in our classroom. It seems always to be more powerful when it is a response to a book we have read. I don’t think it is hard to figure out why – books inspire us to think and feel and reflect and respond. 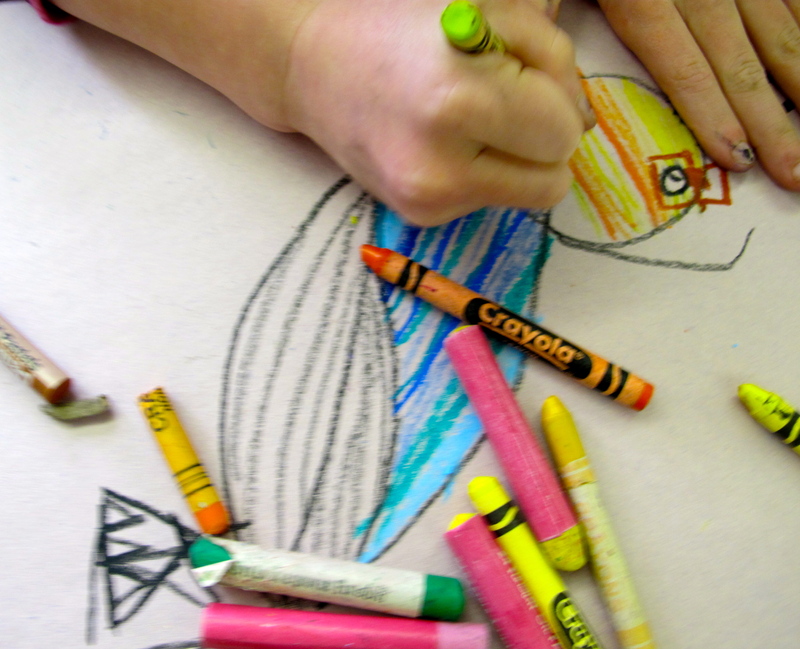 Art is all about responding creatively to what we are thinking about. So the picture book/art connection is a powerful one. It started with the wonderful book The Secret Message that author Mina Javaherbin sent to our class after we had made a connection with her when we reviewed her book Goal! 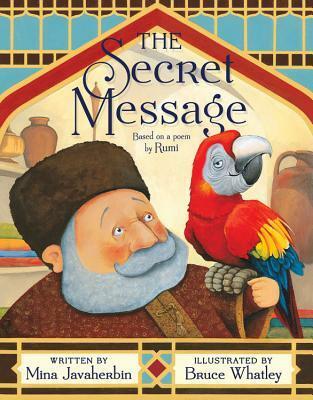 This book, based on an ancient Persian poem by Rumi, tells the story of a wealthy merchant and his parrot. The beautiful bird sings of longing and dreams of freedom and yet, his only reward is a larger cage. When the merchant travels to India, the parrot asks him to tell his wild parrot friends of his captivity and how he misses flying in the forest. The birds manage to send a secret message back to their parrot friend in Persia, ensuring his route to freedom. This story inspired many questions and lots of discussion. 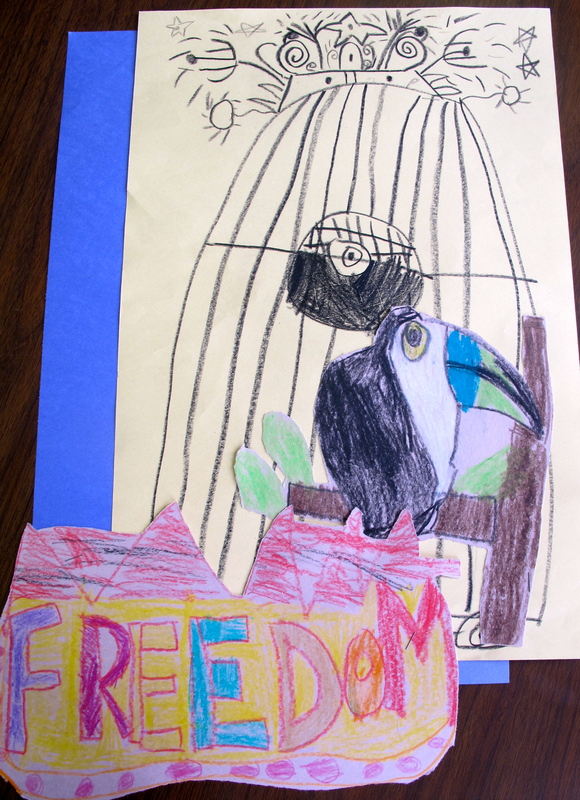 Big themes of course involved freedom and the merchant’s right to keep a wild bird captive. Students were not impressed by the larger cage that the merchant bought the parrot. They felt it didn’t come close to measuring up to the beautiful forest where wild birds flew free. This got me thinking about an art project I had pinned to my art boards on Pinterest. It was from the wonderful art blog Mrs. Picasso’s Art Room. 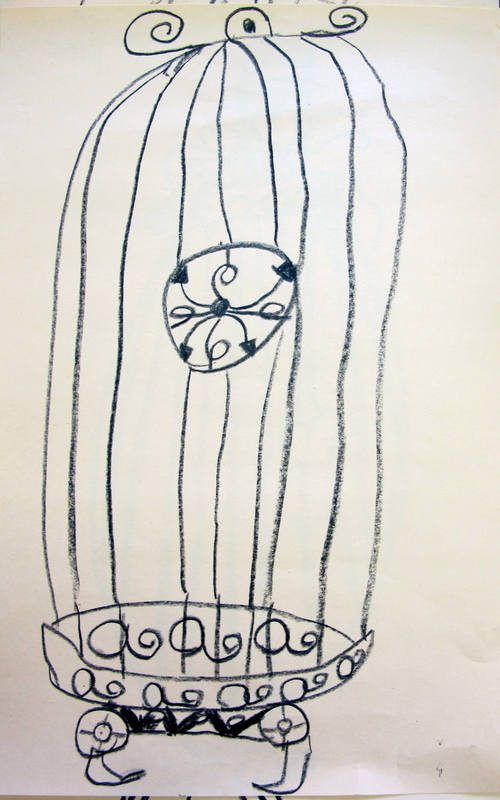 This project also looked at birds and cages and questioned captivity. 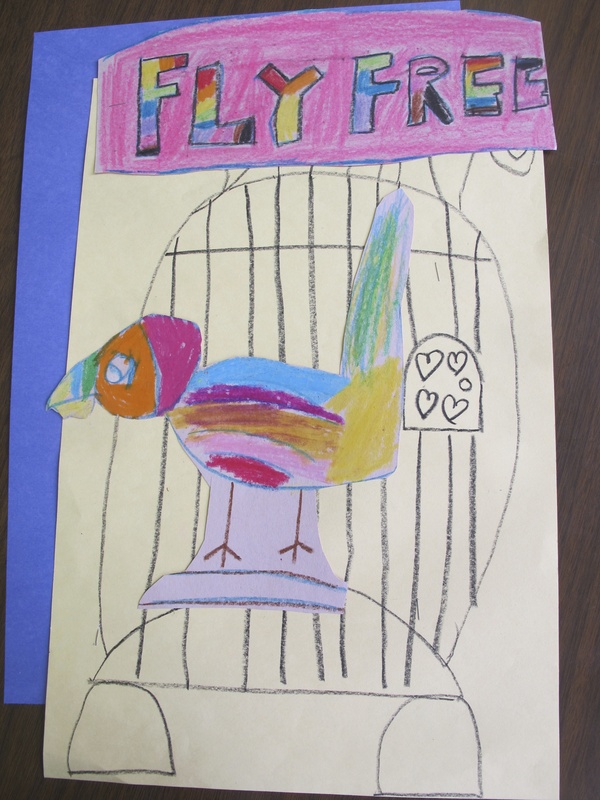 Inspired by this project, I decided to have the students draw their own bird cages that they could have birds perch upon. We also incorporated the message from Mina when she signed her book for us: Fly Free! 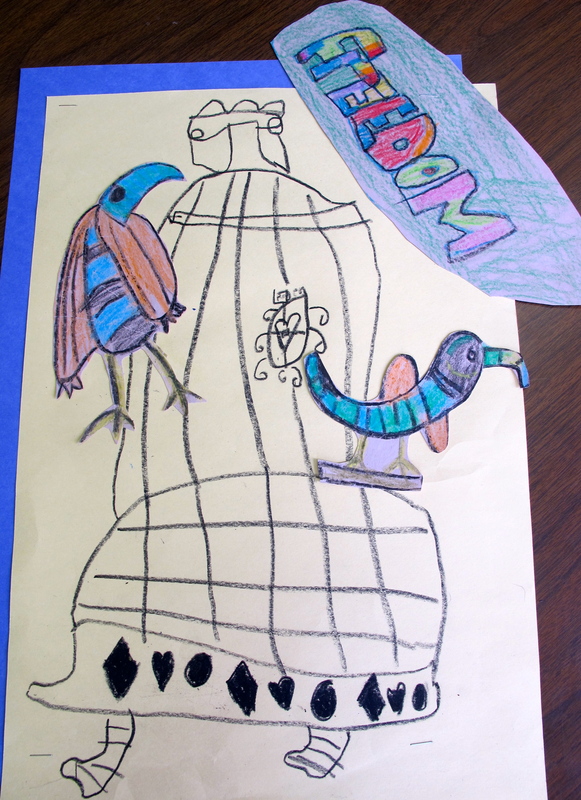 Students began by drawing an elaborate bird cage with black crayon and oil pastel. We thought about a door to the cage and making it stand out as firmly closed. 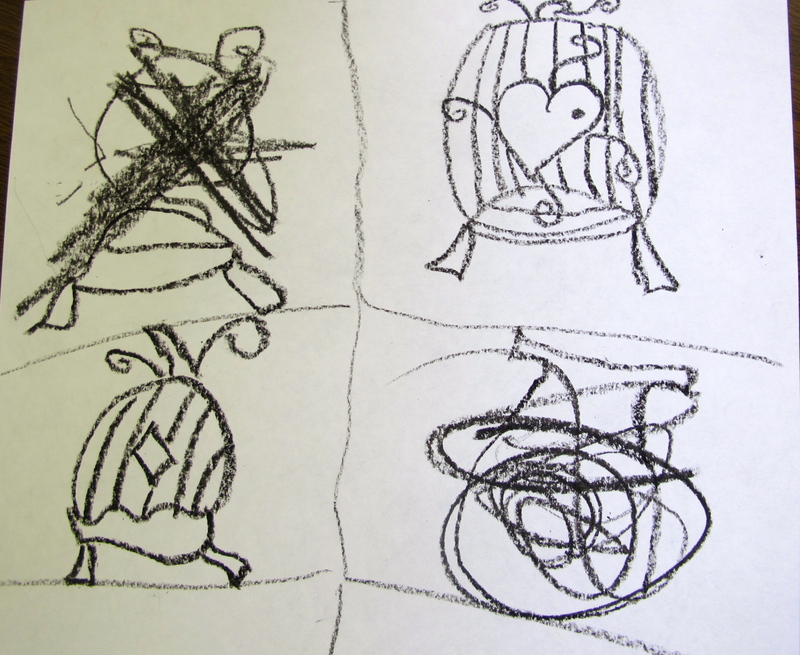 Some students began with mock up sketches to think about shape and design. Finished cages were elaborate and beautiful. 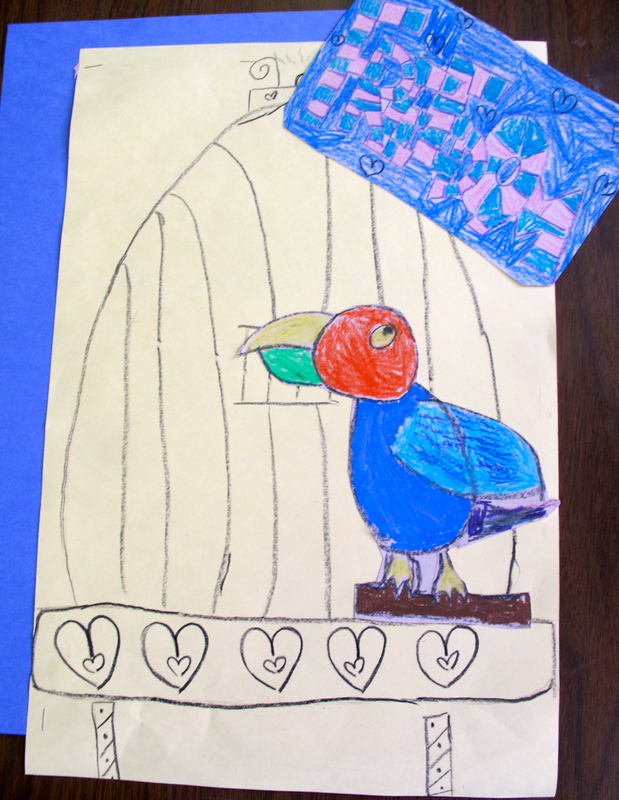 We talked about how we liked the idea of these cages for decoration but not for keeping a bird inside! 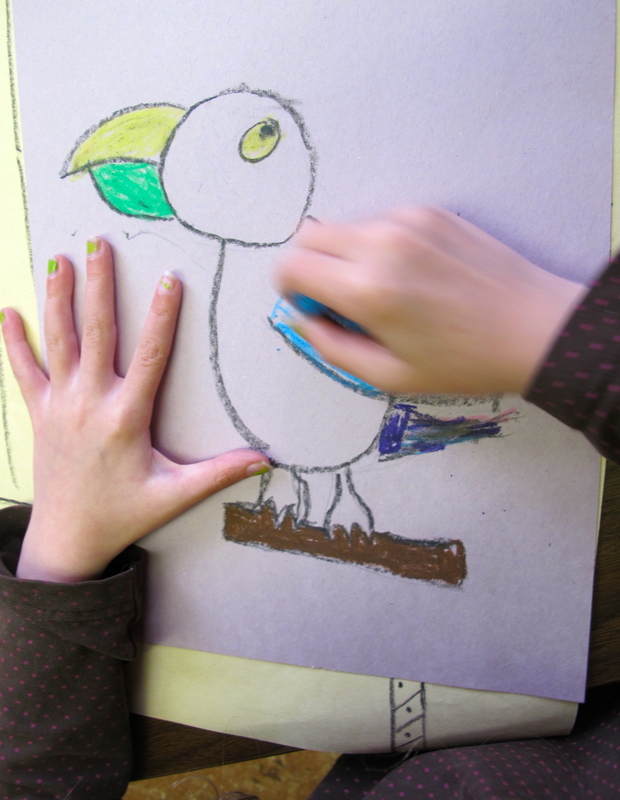 We then made our birds after looking at many picture books and nonfiction books that featured parrots but also other exotic and beautiful birds with interesting colouring and decorative bills. 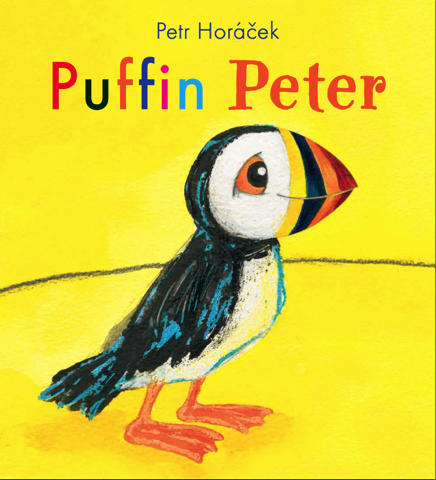 A favourite was a book that celebrated being observant about the details of different birds: Puffin Peter by Petr Horacek. Simply gorgeous! 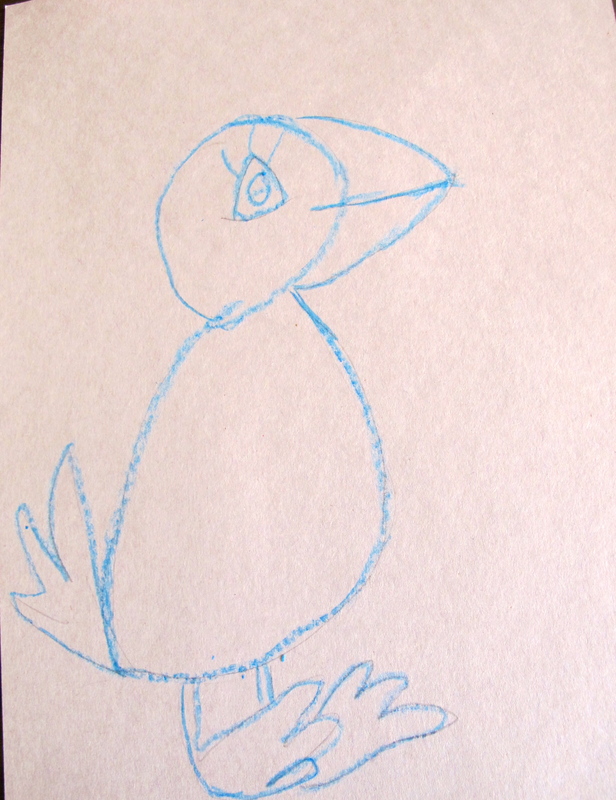 The striped beak of this little puffin made its way onto many finished birds! 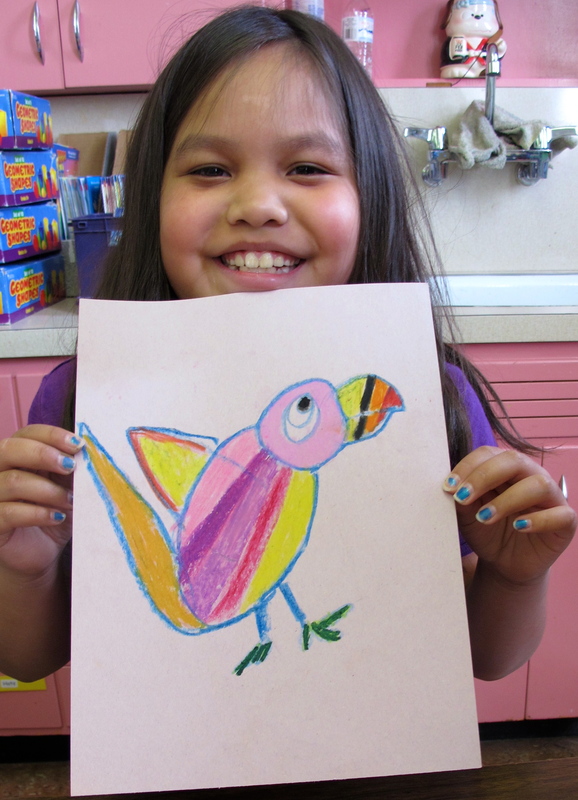 We loved the layered colours and the loose lines that outlined this beautiful bird. 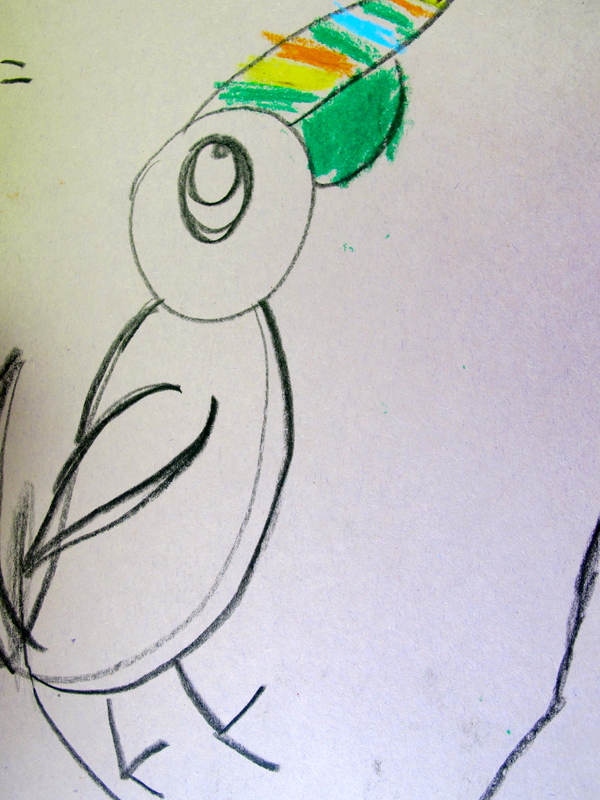 Other birds came in different shapes. 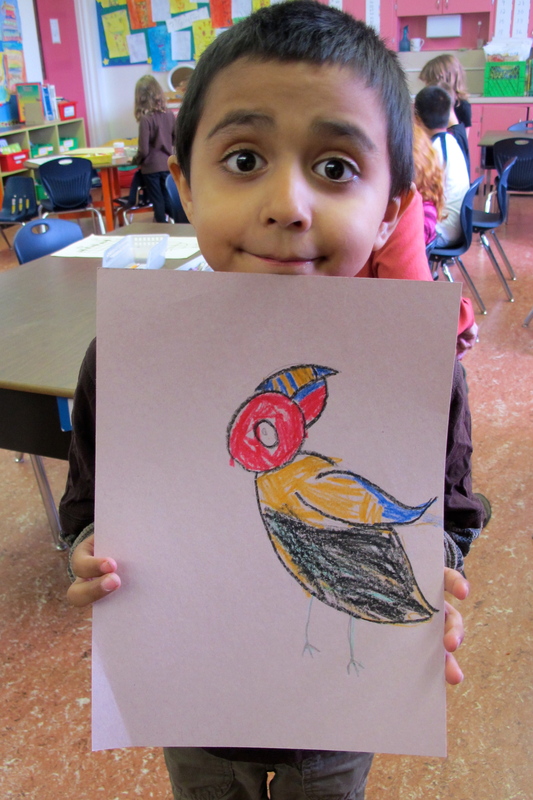 Some students were very excited to make their birds multicoloured using layers of crayon and oil pastels. 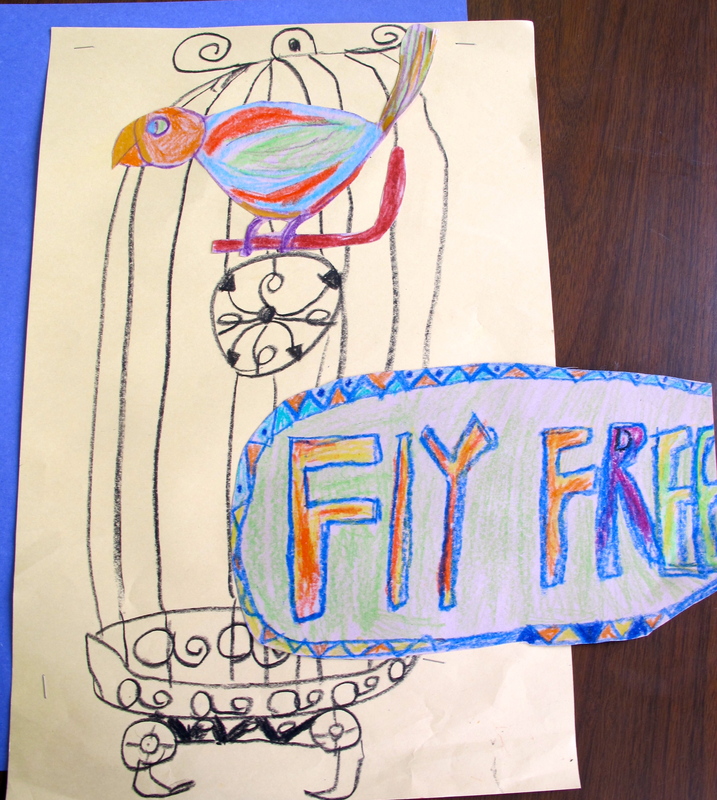 Students then cut out their birds and the signs they had made that expressed either: Freedom of Fly Free. 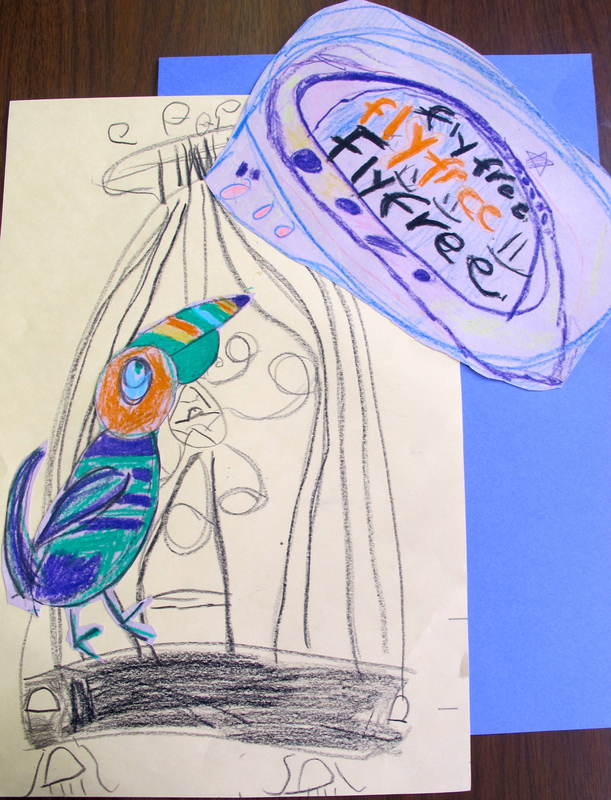 They positioned them on the page so it was clear that the birds were perched outside the cages and voila – beautiful art projects with a message! The great thing about this project? As we worked on it over multiple days, our discussions continued. 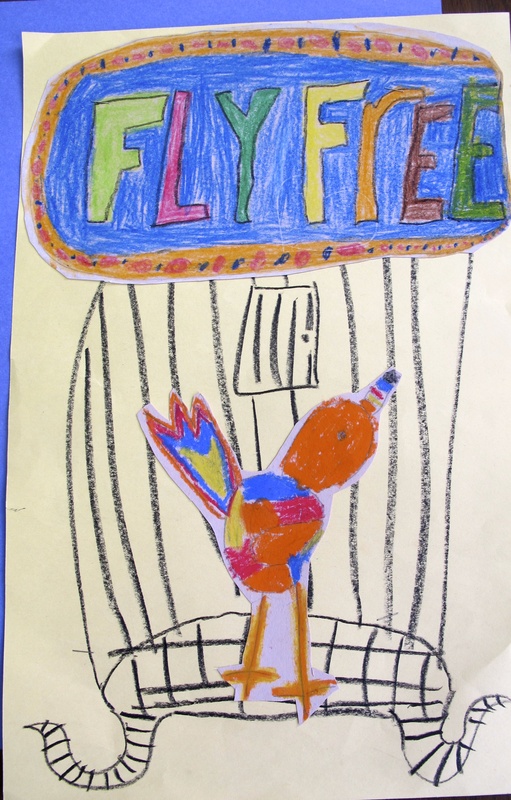 As students worked, they talked about blending colours, interesting birds and what it means to be free. What could be better? Thanks to Mina Javaherbin for such an important book! 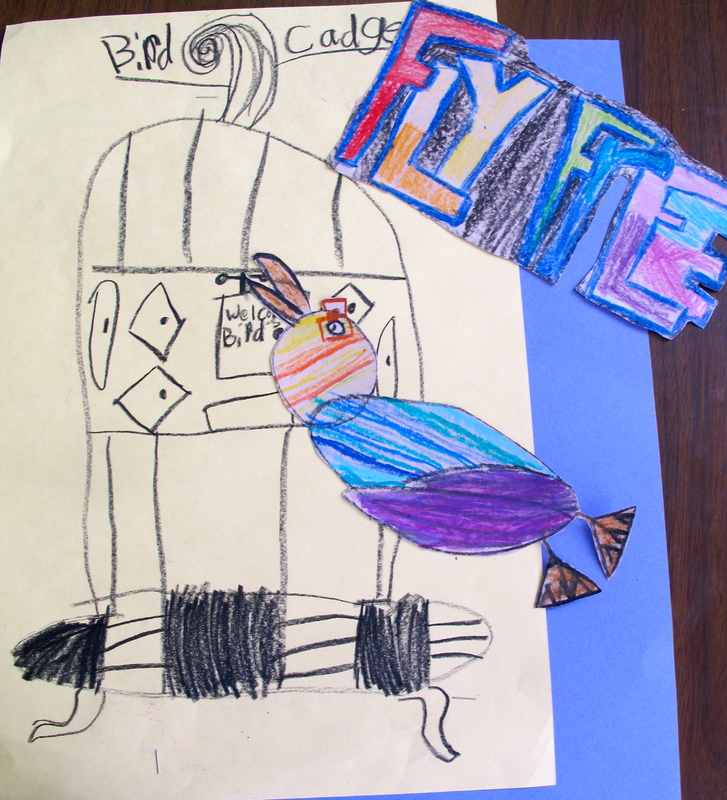 This entry was posted in Art, Picture Book Love and tagged art, Bruce Whatley, fiction, freedom, great read alouds, Mina Javaherbin, Petr Horacek, philosophical discussion, picture books by carriegelson. Bookmark the permalink. Thanks Myra! This was a really special book to create our own illustrations for.